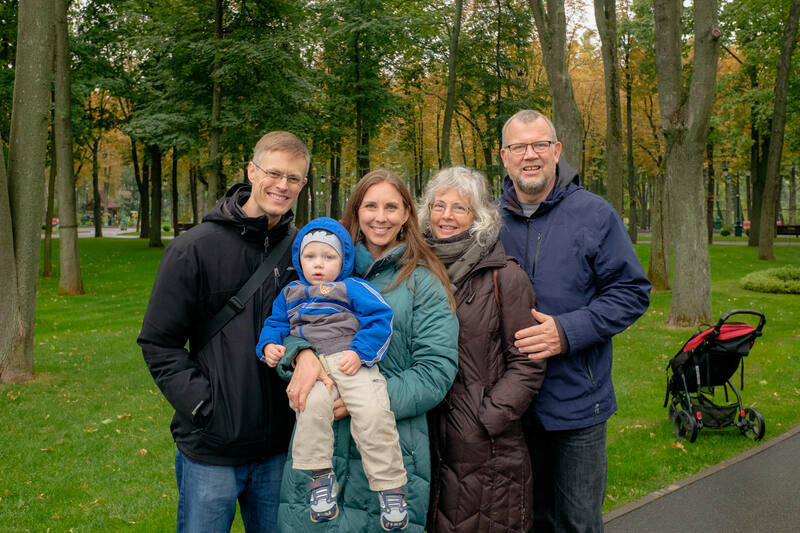 We met Don and Cindy several years ago at the Euro-American Family Retreat—a time of renewal and rest for Christian American families living in Europe. This retreat always means so much to us, especially for the precious time we get to spend with other European missionaries. Having long conversations over rich hot chocolate with those who understand the heart-breaking and spirit-building ups and downs of mission work in Europe is a breath of fresh air. Every time we attend, God blesses us in unexpected and powerful ways. Katie and I both felt an instant connection to Don and Cindy when we met them during one of the morning coffee breaks. They're both warm and sincere people, the kind who invite you to open up and share because they are genuinely interested. Chatting with them was a pleasure. But there was something else that was drawing us to them, something a little deeper. Don and Cindy are lifers. They've been missionaries in Germany for 35 years. Their children were born and raised on the mission field, and they are still committed to their work after all these years. The more we talked with them, the more we felt connected. As lifers, Don and Cindy are who Katie and I can imagine ourselves becoming. Not many people understand our draw to long-term foreign missions, but they do. Not many people in our lives can speak to these desires of our hearts. We wanted to learn from their experience. We wanted to know about what they did and what they wish they hadn't done. We wanted to know how they navigate the muddy waters of having your heart live in two different continents at the same time. They were the unexpected mentors our hearts were looking for. At the retreat last year, while Katie and I were wrestling with the decision to leave Kharkov or not, we started talking about having Don and Cindy come to visit us in Kharkov. As we felt our hearts being called away from Kharkov to another ministry, we invited them to come and help us process it. To sit down with us, along with Sasha and Nastia, and talk about what this move is going to mean for us and for the church, and about what needs to be done before we say our final goodbyes. Finally, two weeks ago—nearly ten months later—we welcomed them to Kharkov. We spent a week introducing them to our beautiful city and our wonderful congregation. We discussed all aspects of ministry and mission work. We asked questions, we shared our stories. They asked questions, they shared their wisdom. It was exactly the kind of spiritual encouragement and challenge it needed to be. I think we wore them out, and now Justus has yet another set of unofficial grandparents. The week flew by, and it was sad to say goodbye. But we are refreshed and motivated to end our time here well. We are so thankful for the relationships God brings into our lives at just the right time and in his own special way. We now count Don and Cindy as dear friends, and we long for the next time we get to spend time with them.